I have some bad news. I’m afraid it might be time to shut down the blog after 8 years. At least, that was suggested to me yesterday upon learning that the Alitalia CEO job is now available. Clearly that’s the job I’ve always lusted after. Or not. In reality, I’d probably just rip my hair out screaming, because the new CEO of Alitalia will just be responsible for implementing the strategy that Etihad has put together. What is that strategy? Glad you asked. Etihad will purchase 49 percent of Alitalia. It will also snag 75 percent of the airline’s frequent flier program and it will buy 5 slot pairs at London’s Heathrow Airport. (Those will be leased back to Alitalia… for now.) Alitalia had to lay off people (who may apparently be offered jobs elsewhere in the Etihad empire), get a bunch more investment from existing shareholders, and secure a ton of debt relief in order seal this deal. With all that done, Etihad says Alitalia will be turned around in 3 years. As I see it, this deal means Alitalia will become a member of the Etihad drone army. As Etihad puts it, the airline is building a “spine” that stretches from Europe to Asia. And in the middle of that spine is Abu Dhabi. The Alitalia restructuring actually has several pieces. Short haul will shrink. Narrowbody capacity will decrease 13 percent and a lot of short haul point-to-point flying will be cut. I’d be looking for low cost carrier overlap (which is pretty much everywhere now). Long haul will grow. Widebody capacity will grow 32 percent. And a lot of that is going to be put into Abu Dhabi from a bunch of Italian cities. Outside of Abu Dhabi, service will be consolidated around Rome and the two Milan airport (Malpensa and Linate). As a strategy, this does makes sense. Why keep flying a bunch of narrowbodies around on loss-making routes against ultra low cost carriers that will eat your lunch? You shouldn’t. Instead, put a bunch of widebodies (fresh from Etihad) on routes that feed Abu Dhabi and the global hub. Etihad has about 100 airplanes right now plus 200 on order. That’s a lot of airplanes to fly in and out of Abu Dhabi, and Etihad knows that. That’s why it wants to put some in every equity partner hub. Some can go under the Alitalia brand which will be better equipped to support flights from secondary Italian cities to Abu Dhabi. And then those passengers will help support more routes out of Abu Dhabi for Etihad. They have to keep feeding the beast at any cost. Some can also go over the Atlantic, reaching into new markets that Etihad can’t serve today. You might remember the uproar when Emirates started flying Dubai – Milan- New York. Well, guess who can easily serve Abu Dhabi – Milan – New York? Alitalia and its good buddy Etihad. What’s really interesting here, however, is that Alitalia is still part of the joint venture over the Atlantic with Delta and Air France/KLM. It is also a part of SkyTeam. And Etihad CEO James Hogan said that will remain very important. I wonder how Delta feels about that? I’m going to say… unsettled, at best. This is going to be one thorny relationship. There you have it. This is all going to make Alitalia profitable by 2017, and everyone can hold hands, smiling. Do you buy it? Don’t get me wrong, I’d love to eat my words and see a new, shining star in European aviation. I just can’t see that happening at all. I wonder if Delta will pull a similiar on Alitalia as they did with other tier 3 partners in Skyteam, such as making FF mile co-operation effectively useless. Wonder what British Airways will be thinking about the Heathrow slots going to Etihad under a sale/leaseback arrangement. Finally, what happens to the Air One brand, intended to be the ‘smart carrier’ – i.e. lower cost shorthaull – will this be killed off ? I wonder if Turkish will try to spoil Etihad’s party, by launching a few more Italian routes or adding capacity to existing routes from tier 2 cities in Italy to Istanbul to connect to Asia ? Turkish already fly to Bologna, Catania, Genoa, Milan, Naples, Pisa, Rome, Turin and Venice – that covers a lot of the wealthier areas of Italy. Turkish has the advantage in that it’s much nearer from Italy to Istanbul than Abu Dhabi – MXP-IST is 2h45 while MXP-AUH is over 6h25, meaning a widebody instead of a narrowbody, making high frequency hub connectivity much more costly to achieve. The LHR sale lease back was also done with jet airways. So it’s probably a collateral strategy incase the partnership doesn’t work. Regarding air Berlin, I think ey got the German frequencies it wanted and af/kl added to their strong presence in Germany. Ey probably was hoping for BER to open, and that’s affecting the turnaround. EY has no chance of catching up to TK in secondary Italian cities. The best we can hope for is improved hub banks in Rome and more midhaul from both Rome and Milan. The AZ product in the air is already fairly good on long haul. Also yeah DL is probably pissed, but a healthier AZ helps the DL jv. David – While nothing has specifically been announced about Air One, I would assume everything other than the Alitalia brand will be killed. That’s exactly what Jet is doing now in India, ditching the low cost brand. You forgot to mention one thing: unions… If everything else won’t kill Etihad’s plans, they’ll be the last and impossible hurdle. You have it absolutely spot on about the unions. They have screwed the pooch each time it looked like Alitalia’s savior had arrived on the horizon. I’ll take a wait and see on this one. Now That the Alitalia Deal is Done, Etihad Lays Out Its Vision For Its Newest Toy. This is what happens when you have billions apon bilions of dollars from oil – you need to invest that money somewhere, but I question the value of such a move knowing it’s Alitalia. So Etihad is going to become a millionaire? I’m sorta glad to see Delta get whipped a bit instead of doing the whipping. I flew Alitalia MAN – MXP- CTA several years ago and quite liked it actually. Service was great, staff friendly and the equipment was clean. Maybe I just got lucky, but they seemed a whole lot better than say US Air or United…. Isn’t anything better than UA or US Air? Reckon you got lucky. Flew them twice, 2nd time was to see if they really were that bad (they were). Then a colleague told me that A.L.I.T.A.L.I.A. is an acronym. Eh, worked better at an earlier time. Thisis where I found the Alitalia acronym (couldn’t remember it exactly) and yours, and a few other funnies are up there. Has Alitalia EVER been successful? A lot of their problem is probably cultural – and I don’t think Ethiad can even understand the issues, let a long fix them. I’d rather fly United and that is a major statement for me. Brett, I think you’d do just fine as Alitalia’s CEO. Screaming and Ripping out your hair seems stereotypically Italian to me.. At least thats what I get having spent time with that side of the family. I think with Airberlin, a lot has to do with the new Berlin Brandenburg airport not opening as of yet. They had an ambitious plan from the new airport, if I recall clearly, which they can’t really do from Tegel. But of course, with the new airport open, they are also wide open to competition from Lufthansa, which also had ambitious (short-haul) plans from Berlin. If Alitalia works out for Etihad (which it most likely won’t), they have the inside track (along with Airberlin) to the Trans-Atlantic market, something Emirates and Qatar have struggled to do. 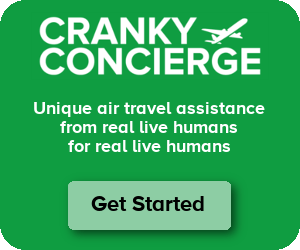 Hey Cranky, which ULCC carriers do you think will increase their flying in Italy in the wake of Alitalia’s narrow-body capacity draw down? Theo N – Honestly, I don’t think the narrowbody draw down makes a difference. easyJet, Ryanair, and Vueling have all been expanding like crazy in Italy. They were probably going to keep doing that regardless of whether Alitalia backed off or not! Maybe this gives them a little more opportunity to move into new markets. I am sure some of you are more than aware that Etihad is not run by the old UAE monarch. They are run by professionals from Europe and elsewhere. They will turn this around and make money for all stake holders. In 10 years EY is now on the radar of every American airline who are sucking the public to make profits like the system laid there by the big fat cats. Allow EY to run an airline in US. The fares will dropped faster than your jaws and profits filled into the pockets of shareholders.